The parade will kick off sharply on Thursday, July 19th at 5:00 PM from Dunn's Corners Fire Department Station #1 on Langworthy Road. Residents from all towns are invited to join us on the parade route. Why attend? 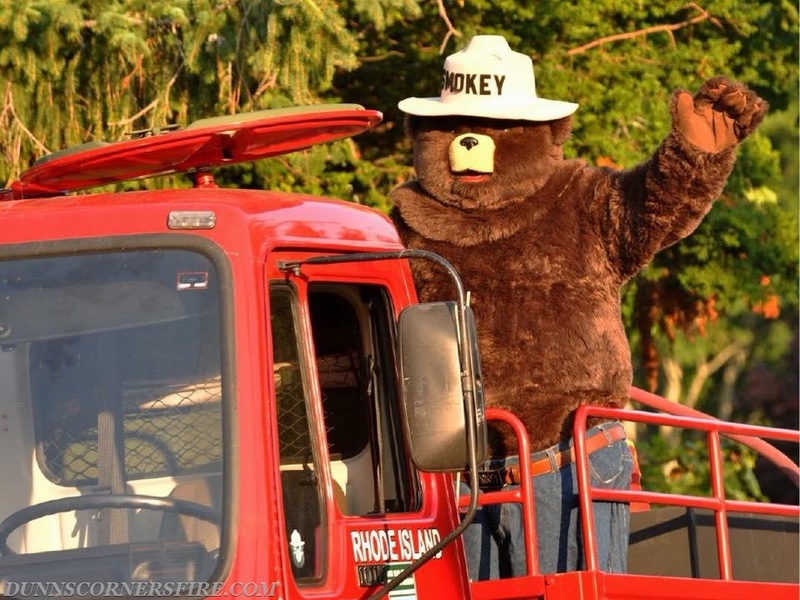 It is a great family event with fire prevention related goodies given out to the kids at each stop and of course plenty of photo opportunities with Smokey Bear. Hundreds of children and families enjoy the parade each year. The parade will be stopping for approximately 10 minutes at each of the designated stops.